Is this possibly the greatest photo of the year? All those calculations and spreadsheets to design the perfect oar and this fellow could have done it off the top of his head. An ice-cream for the best caption…? 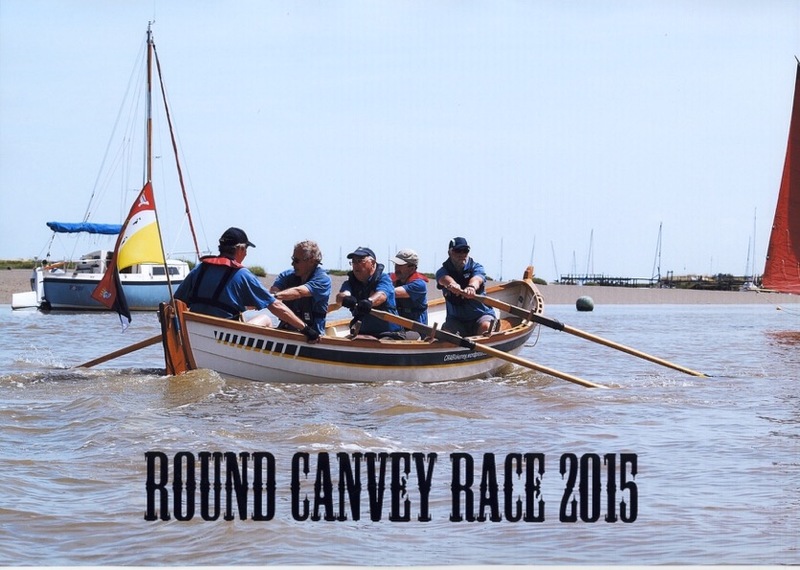 Our brave lads upheld the CRABlakeney honour with a class win in the Round Canvey Island Row. They completed in well under three hours, battling tides and sand/mud banks, Harker’s Yard gigs and various other East Coast boats. 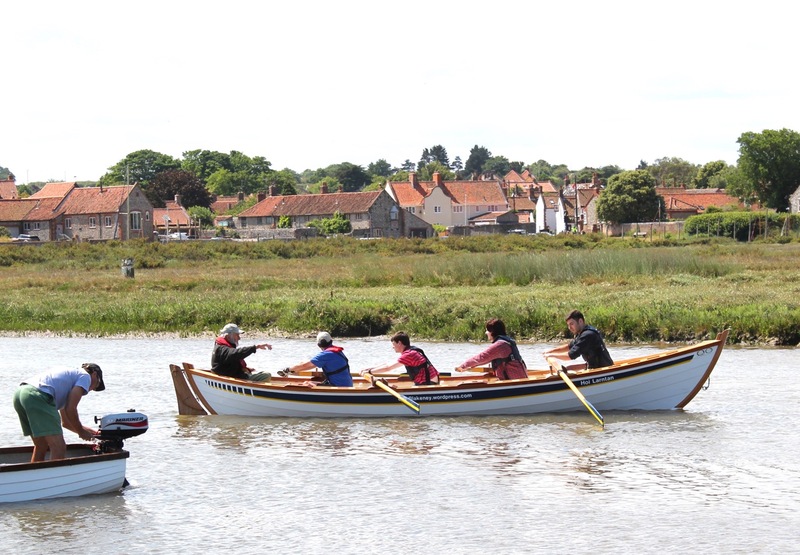 First St Ayles skiff home…though they didn’t mention how many other St Ayles skiffs there were taking part. 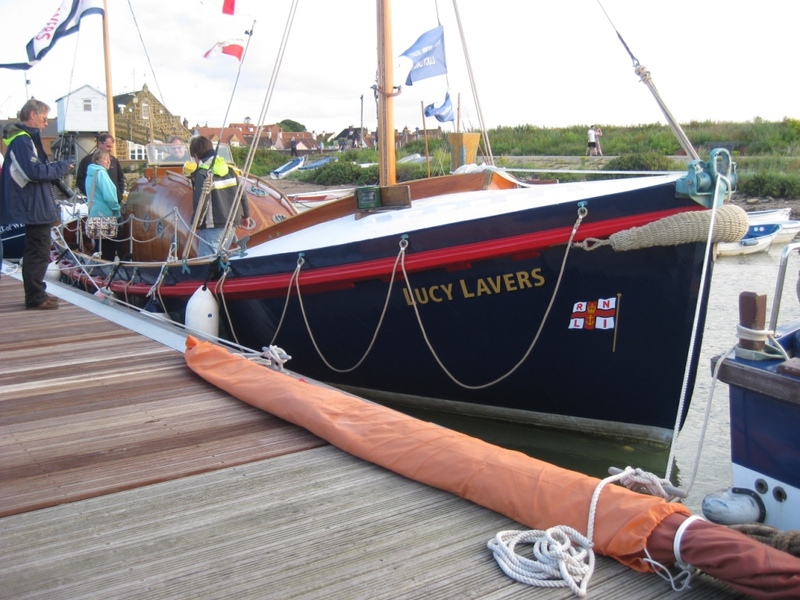 Safely returned from her cruise across the North Sea with the Little Ships flotilla to celebrate the 75th anniversary of the Dunkirk retreat, lifeboat Lucy Lavers is now berthed in Wells. 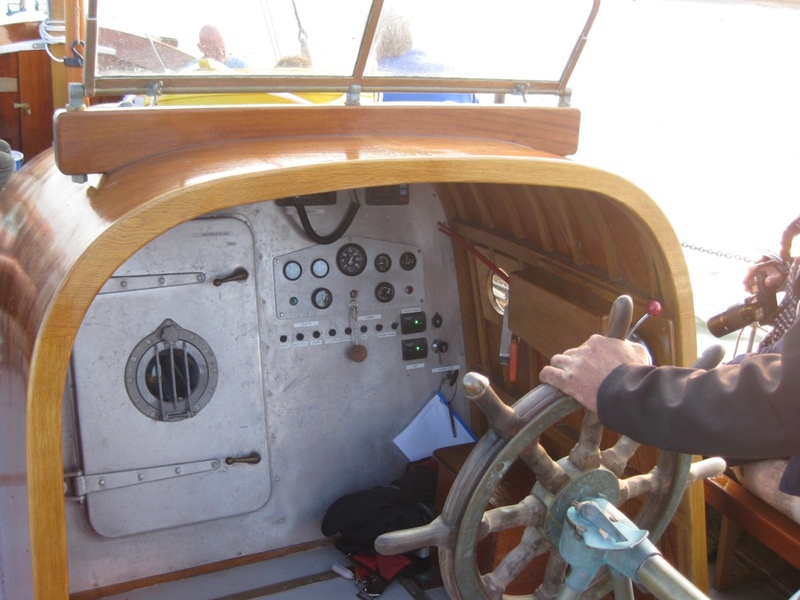 Her first ever ‘shout’ was in the summer of 1940 to go to Dunkirk and back rescuing Allied soldiers. 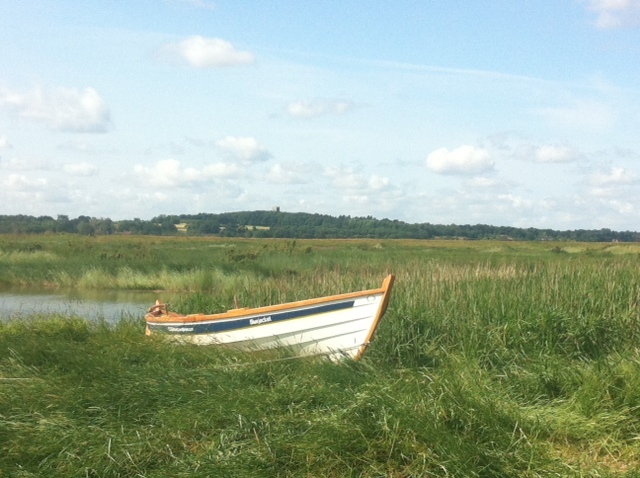 Later she served her time in both Aldeburgh and Wells. Lovingly restored by Stiffkey based Rescue Wooden Boats over the past two years, there will be the opportunity to sail in her this summer – see the website www.rescuewoodenboats.com. I was lucky enough to join the first of these trips on a beautiful sunny evening. 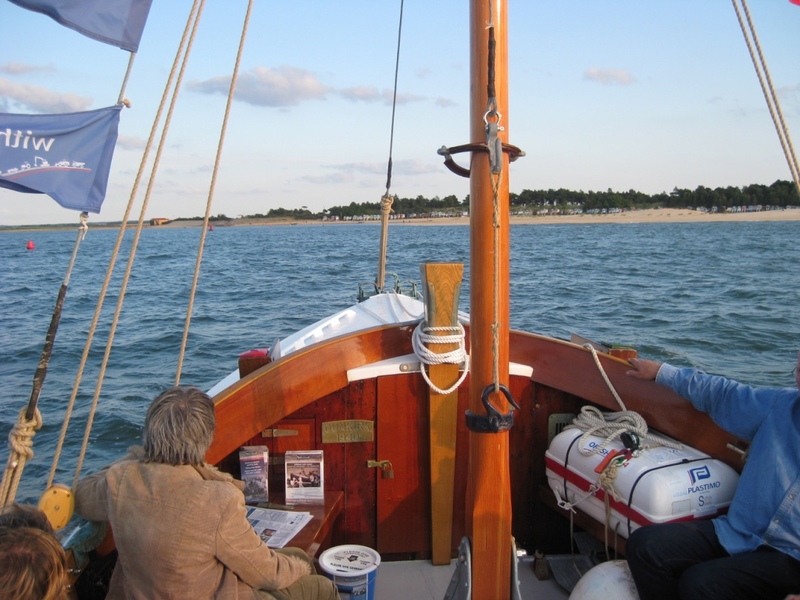 Back at Blakeney in the early twilight of the setting sun, Bluejacket was treating her crew to an equally memorable row. 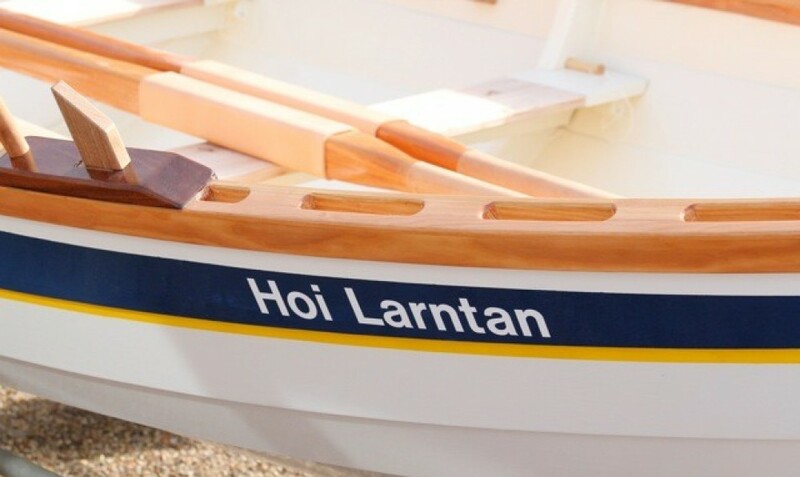 Hoi Larntan is off on her travels again – to chase round Canvey Island this time. 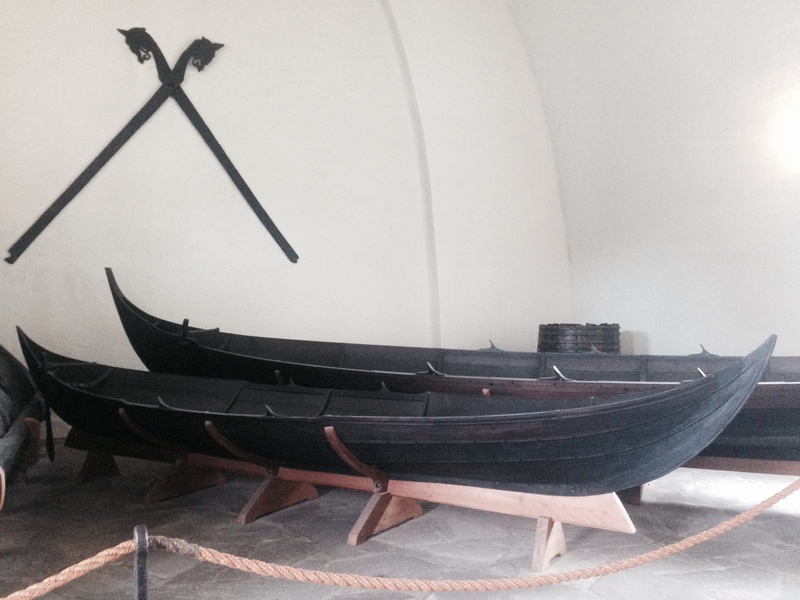 Our former President Victoria has been doing some research in the Oslo Viking museum and found these early ‘St Ayles Skiffs’. Colour scheme doesn’t give much of a clue as to which club built them! 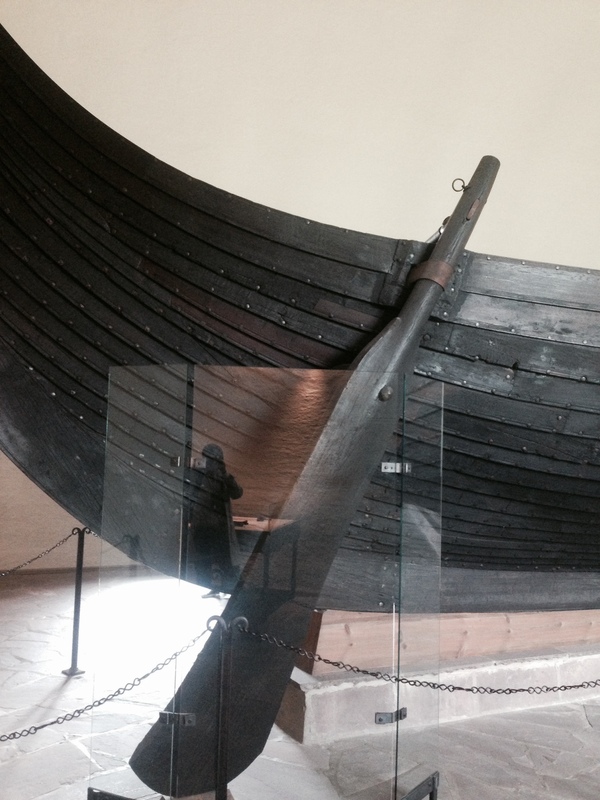 This kind of rudder has been tried by either Ullapool or on one of the first few modern skiffs built in Scotland. Rejected fairly quickly, I seem to remember. What is not shown is the style of oars! No doubt a well guarded secret. Adrian? Two strokes and they are straight into it, leaving the man with the engine floundering in their wake! Well done the Holt Youth Project rowers and our coxes and coaches in today’s outings. 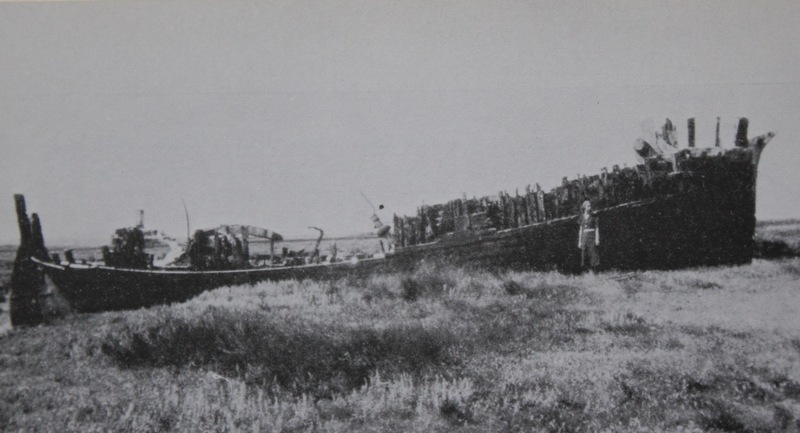 Caption was “Major Hammond’s House Boat, ex trader Blue-Jacket”. Not sure Barrie will be too enthusiastic about this for the next restoration project? Thanks for the photos Tom. 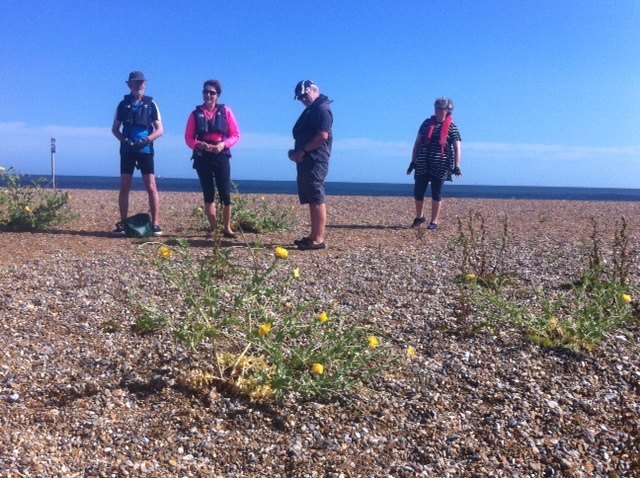 Following the Cley channel as far as they could go – until they ran out of water! So had a walk on the beach instead. 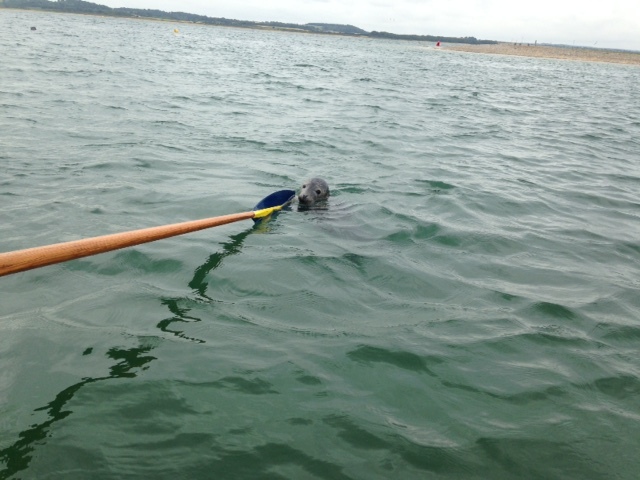 Thanks to Alan for photos. 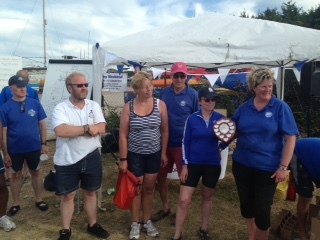 Anta’s brave team, shepherded by Roland, with two novice rowers, became the fastest St Ayles skiff in the Round Hayling Island challenge – that’s almost overseas.